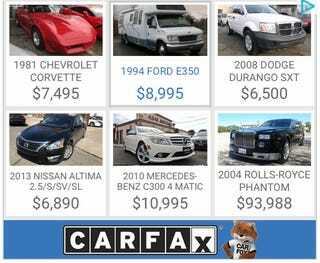 Why yes, Carfax, I am cross-shopping a Rolls-Royce and an E350 conversion van! A Viper or a Buick Lucerne - however will I decide! A CTS-V wagon and a Hyundai Tuscon? You know me too well!